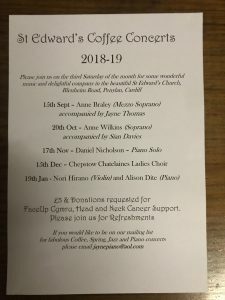 A big thank you to Jayne Thomas who kindly organised a special concert at the St Andrews Church in Roath. 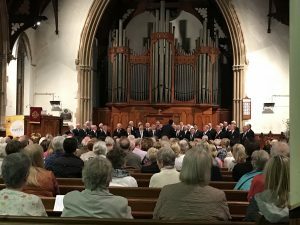 This involved the Cwmbach Male Choir who entertained with classical Welsh choir songs and special guests – the Choir Roźenice from Croatia. They sang traditional Croatian melodies and then the choirs joined to sing two songs together. This was an outstanding evening , really appreciated by the full house present at the church. Please see some photos of the evening.